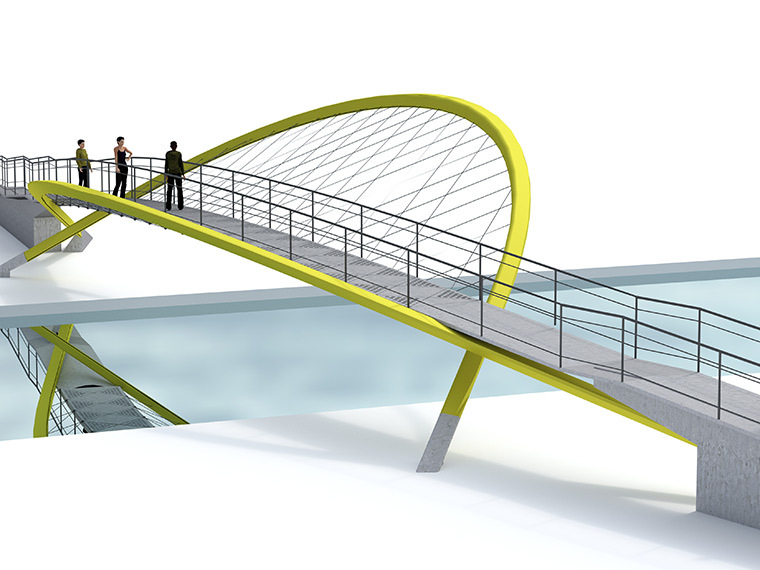 The competition called for a bridge to act as a gateway to the town of Bootle. 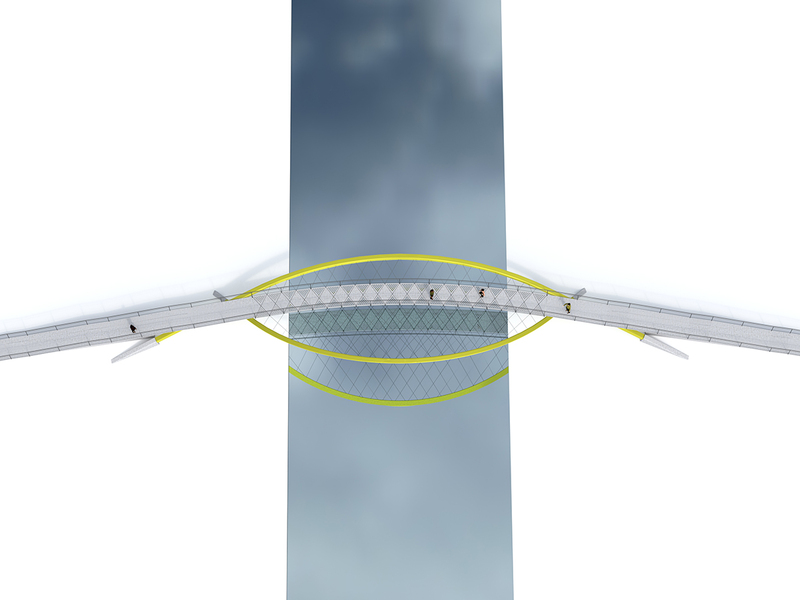 In collaboration with Arup we developed a bridge that is clearly functional, boldly expressing its engineering. The curved plan of the deck responds to the street pattern and gives rise to the asymmetric arrangement of inclined steel arches. Dead load deflections of the major arch balance the deflections from the live load imposed on the concrete panel bridge deck, whilst a steel cable net adds further stability and creates a strong visual effect. Concealed lighting dramatically illuminates the structure providing the town with a 24 hour landmark.